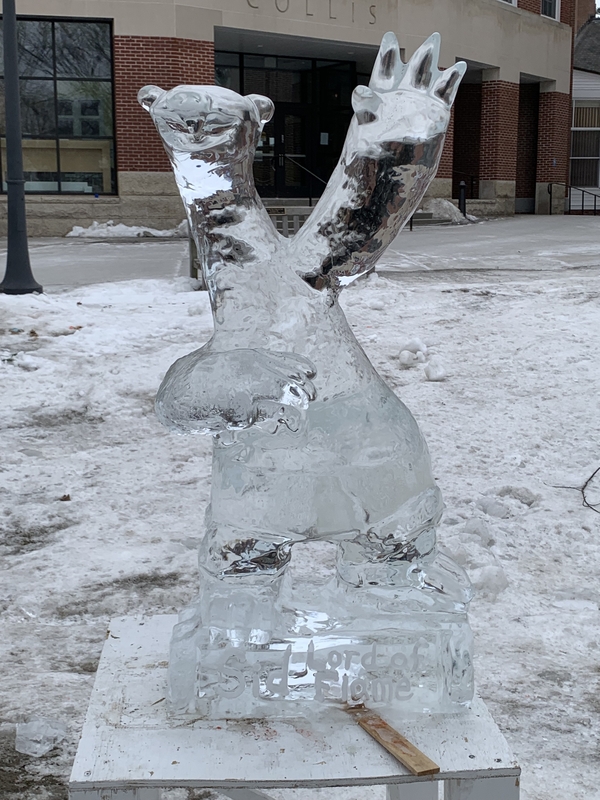 The Winter Carnival Council and Collis Center for Student Involvement sponsor an ice sculpture contest during Winter Carnival. Sponsorship for prizes is provided by the Class of 1977. 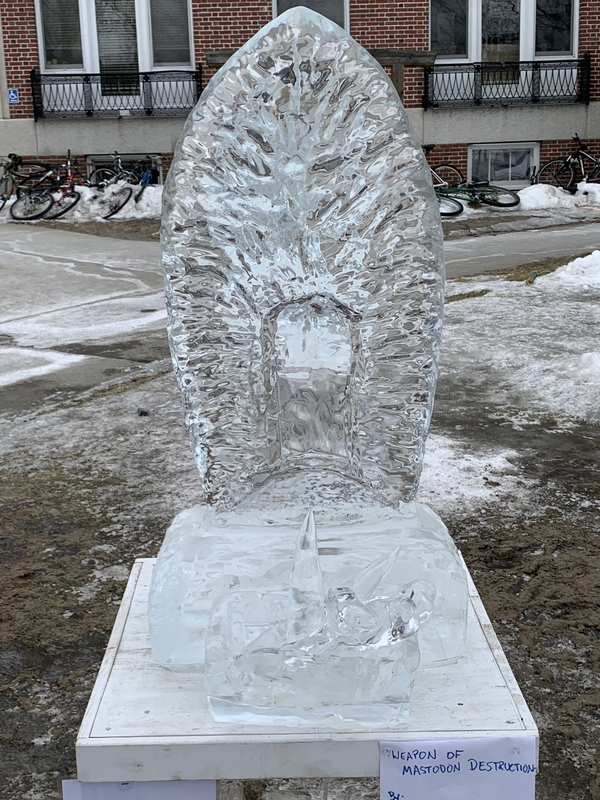 Please check back in January 2020 for updated details on the Ice Sculpture Contest. 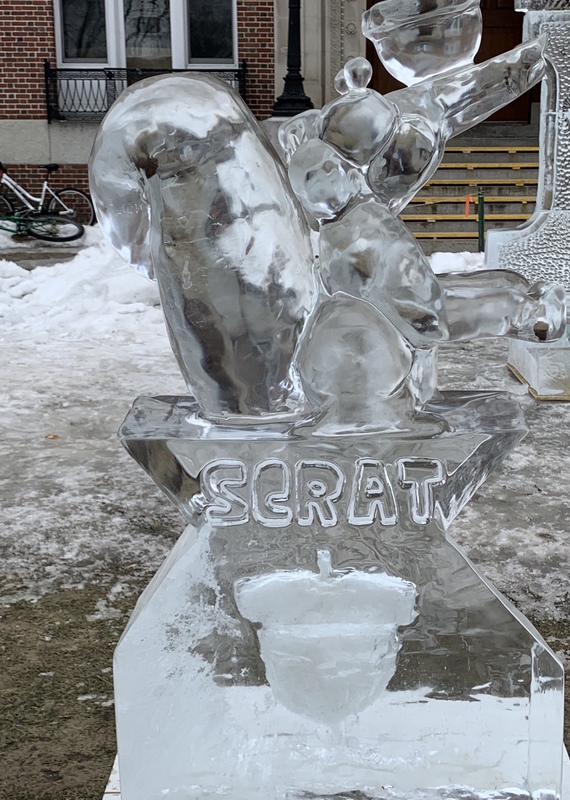 Any team, organization, department, or group of friends can build a sculpture for the Ice Sculpting Contest. Please note: we are limited to 25 teams. 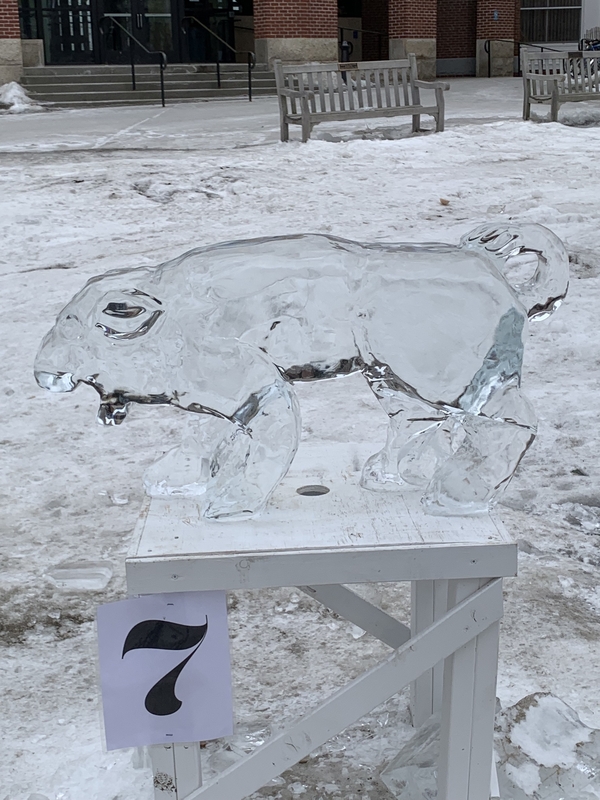 A contest held on the Green to select the best ice sculpture representing this year’s Carnival theme. Sculpting will take place Friday beginning at 10am (teams can work into the evening as work lights will be provided). Sculpting will also happen on Saturday from 10am-3pm. In order to participate in this contest, all sculptures must be built on the southwest quadrant of the Green (corner closest to Collis) at the designated stations. Ice blocks and tools will be provided on the Green. Sign-ups will be available here in Late January. PLEASE NOTE: A $25 deposit is required from each teams to ensure the return of the professional tools provided to each team, as well as completion of the team’s sculpture. Each team gets to have a professional sculptor make major cuts on the sculpture (to the team’s specifications) before carving the rest by hand! Prizes are generously sponsored by the Class of 1977.